We specialize in Organic, edible garden design, installations, maintenance, and harvest of vegetables, herbs, flower and other edible plants. We also offer Community Supported Agriculture Farm-to-Door shares of fresh harvested organic vegetables throughout the South Fork. 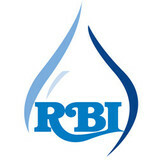 RB Irrigation has been providing professional lawn sprinkler systems on Eastern Long Island since 1999. We use only high-quality products and labor procedures to ensure optimum lawn sprinkler system performance and customer satisfaction. We only staff the most reliable and professional lawn sprinkler system specialists, ensuring that our customers are getting the best service available. 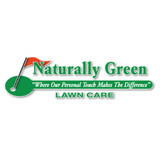 Naturally Green is a Connecticut lawn care company whose name says it all – natural, environmentally conscious lawn care that promises to deliver a beautifully green and luscious lawn. There’s so much stress in life, we want to make sure that your lawn care doesn’t add to your tension so we make sure we provide our clients with a positive experience. Customer service is our number one priority and we guarantee that your expectations will not only be met, but exceeded, as we endeavor to give you the best lawn service you’ve ever had. Our service-oriented attitude will ensure that we’ll respond to your needs promptly and effectively. We use the most modern and efficient equipment, as well as the most technologically advanced applications to beautify your landscape. Let our lawn care professionals at Naturally Green help you achieve all your landscaping goals this season! 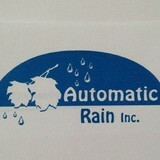 Here at Automatic Rain Inc. we are a family owned business based out of Shelton, CT and have been servicing the area for over 30 Years! Over the years we have built close relationships with our customers and we are excited to work with you! Our goal is high quality workmanship, complete customer satisfaction, and prompt, reliable service. EXCELLAWN IRRIGATION SYSTEMS is a fully licensed and insured company providing a full range of residential and commercial irrigation service, from design and installation to modification, maintenance (including Spring Start Up & Adjust service and Fall winterization service) and repair. We are a family owned and operated company with over 125 years combined experience in the irrigation field. Our family has proudly and successfully served Massachusetts and Rhode Island for decades. Now we have brought our exceptional service to Connecticut, where homeowners desire the same experience, quality work and reliability as their New England neighbors. Irrigation is not just something we do....it's ALL we do. As irrigation specialists, we can custom design an irrigation system to provide the optimum moisture without waste, including system adjustments to account for seasonal weather changes for homeowners and businesses, including golf courses and ball fields, all in a timely manner. Tom's Outdoor Maintenance is here and ready for any of your property management needs! 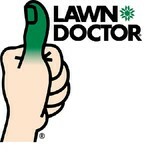 Emergency Cut N Trim Provides Last Minute lawn Maintenance to those who are too busy, vacationing or Equipment Failure. We Also provide year round services such as bi-weekly or Weekly maintenance. Yearly Service Contracts available as well. Peak Landscaping & Snow Removal of Mystic, CT is a full service year round landscaping business. Town Line Lawn Care, LLC is now accepting new customers in North Haven, Hamden, Wallingford, Cheshire and surrounding areas. If you or anyone you know needs someone to service their lawn or property, give us a call at 203-752-7315 for a free estimate. In addition to the maintenance side of gardening, East Hampton, NY gardeners can help you with garden design and choosing specific plants and grass types for your climate and area. Find an East Hampton, NY gardener on Houzz. Narrow your search in the Professionals section of the website to East Hampton, NY gardeners. You can also look through East Hampton, NY photos to find examples of yards that you like, then contact the New York contractor who worked on them.